“Q1C have really surprised me with their quality and professionalism"
Quality 1st Cleaning Services is a professional cleaning company operating in Croydon, specialising in domestic and end of tenancy cleaning, office and carpet cleaning, move out and move in cleans, providing a personalised and efficient service to meet each clients requirements. Quality 1st are flexible and can get the job done at your convenience in Croydon, night or day. Quality 1st staff are totally committed to providing all clients with the best standards of service, professional cleaners ensure that clients expectation are exceeded and their cleaning is completed to a high standard. Read MoreThe company aims to supply businesses and homes in Croydon with a professional cleaning service from end of tenancy, office cleaning , move in/ move out cleaning to carpet cleaning. Operating from Croydon in Surrey, our expert staff ensure clients expectations are fully met at all times. The service is intended to be cost effective every time. Quality 1st Cleaning Services has a satisfied network of clients, situated in Croydon, South West London and Bromley areas, including several large organisations, private clients, commercial properties, pubs, clubs, restaurants, nursery's and estate agents. Our end of tenancy cleaning is carried out by dedicated mobile teams of cleaning operatives whose speciality are properties in need of a thorough deep clean. Quality 1st Cleaning Services provide homes in Croydon with domestic cleaners who are well trained, fully insured and motivated. Our office cleaning service is tailored according to each client's requirements and budget. Our carpet cleaning starts with a thorough vacuuming of the entire carpeted area followed by pre-spray treatment to break down in-grained dirt, followed by a deep, penetrative steam. After the builders have left, you'll often find lots of dust & dirt everywhere. With our vast level of experience our team can comfortably reveal the beauty in your project by removing construction remains leaving the property Sparkling Clean. Carpeting is a major investment in your home, and regular carpet cleaning is necessary to keep it looking new. Carpet cleaning costs are minimal when you consider the replacement cost of carpets and furnishing, so regular Upholstery and Carpet cleaning makes economic sense too. Our carpet cleaning starts with a thorough vacuuming of the entire carpeted area followed by pre-spray treatment to break down in-grained dirt, followed by a deep, penetrative steam. At Quality 1st Cleaning Services Croydon our professional carpet cleaners use the most effective carpet cleaning equipment manufactured by Prochem, Rug Doctor, Kleenrite, Airflex Pro and Clean Pro. Quality 1st carpet cleaners are trained to the highest standards. Our carpet cleaning products are 100% biodegradeable, eco-friendly and absolutely safe to be used in any home or office. Our machines are so effective that your carpets will be dry, clean and fresh within a couple of hours from completion of the carpet cleaning process. Carpets need to be vacuumed once a week and more often in areas of heavy traffic. Frequent vacuuming prolongs the life of your carpet by preventing a buildup of gritty particles that can cut carpet fibres. Every few weeks, take a little extra time and use your crevice tool for cleaning around baseboards and radiators and in other hard-to-reach places. We make sure that no effort is spared when delivering the best carpet and upholstery cleaning services to you. GUARANTEED!!! Special Offer on End of Tenancy Cleaning and Carpet Cleaning! Our End of Tenancy Cleaning is carried out by dedicated mobile teams of professional cleaning operatives whose specialities are properties in need of a thorough deep clean either at the end of a tenancy or before the start of one. Our teams are equipped with all the necessary chemicals, tools and equipment. Quality 1st Services Croydon works with many leading estate agents in the Croydon & South West London area carrying out: moving out cleaning, post tenancy cleaning, pre tenancy cleaning, start of tenancy and end of tenancy cleaning. We understand how important it is for you to have your property professionally cleaned and checked prior to a let or a sale, we are well aware of the requirements for inventory checkouts which our end of tenancy cleaning team use at all times. Quality 1st works with many leading estate agents in South West London and Croydon areas and know exactly what agents and landlords look for on inventory check-outs. Let Quality 1st Cleaning Services Croydon help to secure your deposit. We have created an extensive checklist reflecting the cleanliness standards required by major Letting Agents and which our cleaners use at all times. 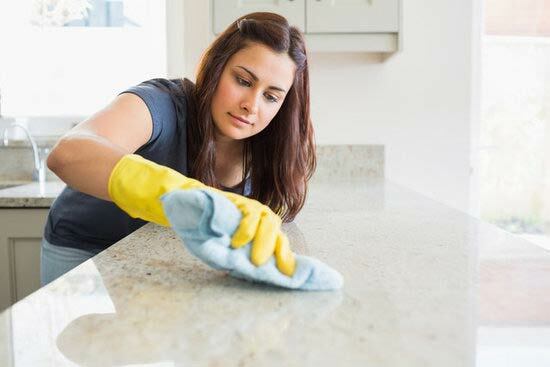 With our end of tenancy, start of tenancy, pre tenancy, and post tenancy cleaning, you can be rest assured that every inch of your property is being cleaned to the highest standards possible. Landlords and Estate agents, have your properties cleaned to pristine conditions to new lets or even a sale. Let your clients know you care, make that special effort to ensure you secure your new tenant or sale by having your property professionally cleaned whether it is for an end of tenancy clean or start of tenancy. Have your property professionally cleaned prior to the let, the tenant is obliged to leave the property in the same condition as the inventory. Our service is fully insured for your piece of mind. If you are not entirely happy with the job carried out, just let us know within 24 hours and we will redo it FREE of charge. Our end of tenancy, start of tenancy, pre tenancy, post tenancy and during tenancy cleaning services are customer satisfaction guaranteed! We make sure that no effort is spared when delivering the best cleaning services to you. GUARANTEED!!! © 2017 Quality 1st Cleaning Services. All Rights Reserved.